Heartbreaking Cards of Staggering Genius: Have You Ever Seen A More Expensive Blaster? Have You Ever Seen A More Expensive Blaster? ...and discovered the blasters were priced at $42.00 regularly! Meaning with the 50% clearance sticker the blaster was still more than the regular retail price. Have you ever seen a blaster priced higher than this? Wow, pretty crazy! I've never really seen them go for more than $20 or so. So, you bought up all they had, right?!! State Fair ? 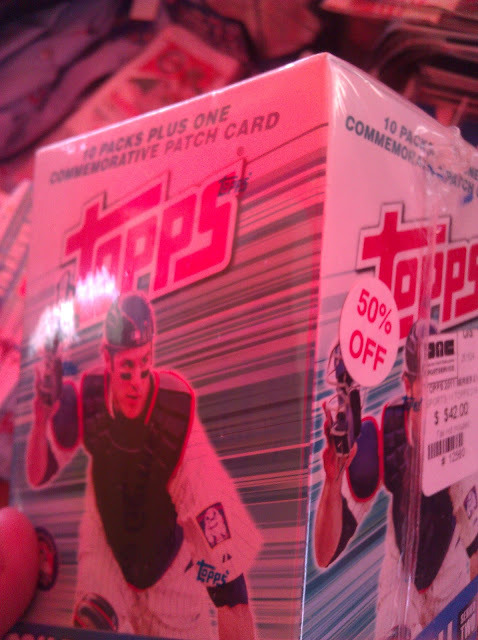 What fair about a blaster triple the price with 50% off ? Rename it the State Unfair. Did it migrate down from Canada maybe and was $42 Canadian? I've seen blasters cost that much at stadiums. 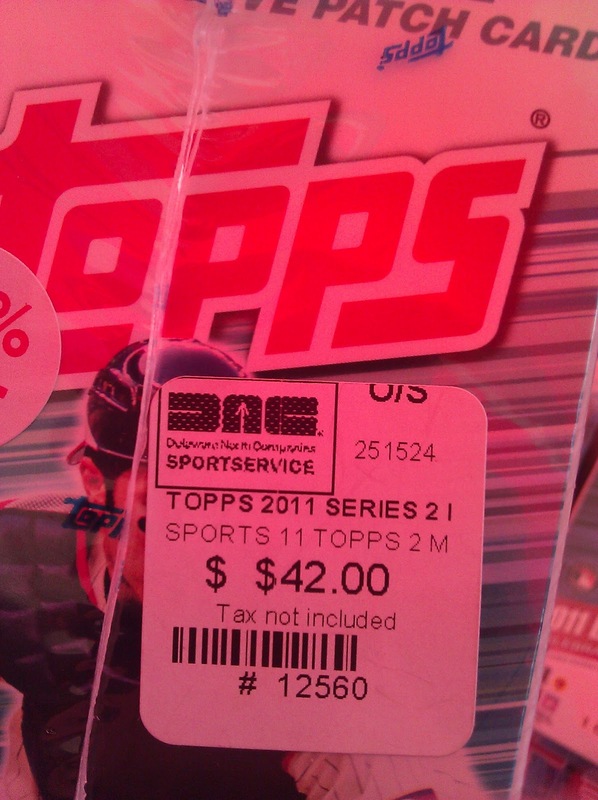 Either that or a scam to sell a $20 blaster for $21 while making it look like a deal. Did they cover up the $19.99 price with that ridiculous sticker?